One of the best ways to promote your business is to outfit your staff and “give-away” items with your company’s logo on them. Embroidered clothing is one of the best ways to boost your brand for more awareness. Boss Visual’s wide selection of premium custom apparel solutions that are the most sought after by companies looking to achieve a professional, sophisticated look for their staff for everyday use and special events alike. We’ve done a lot of work for recognizable companies. Whether featured on a traditional button-down shirt, casual polo, hat or jacket, an embroidered logo will boost your image and ensure your brand gets noticed. Boss Visual has numerous options, so every team within your company can be outfitted with embroidered corporate apparel that suits its functionality. Just about any business can benefit from promotional items as tools for building rapport and showing goodwill to other businesses, clients and potential clients. For a small investment the returns are awesome! People love free things and it’s proven that those small gifts make a positive lasting impression even later down the road. Let the promotion experts at Boss Visual help you create favorable brand awareness and more return on investment with promotional products designed to keep your brand in the memories the people you connect with. Our professional designers and promotional experts can put your brand on virtually anything from tech gear like USB drives, office supplies, sporting goods (golf and more), and all of the everyday items that most people use all the time. Take advantage of special promotions, trade shows and sales. Our production floor layout was designed to accommodate embroidery services on a large scale for our leading clients who need mass quantities of runs on a consistent basis. 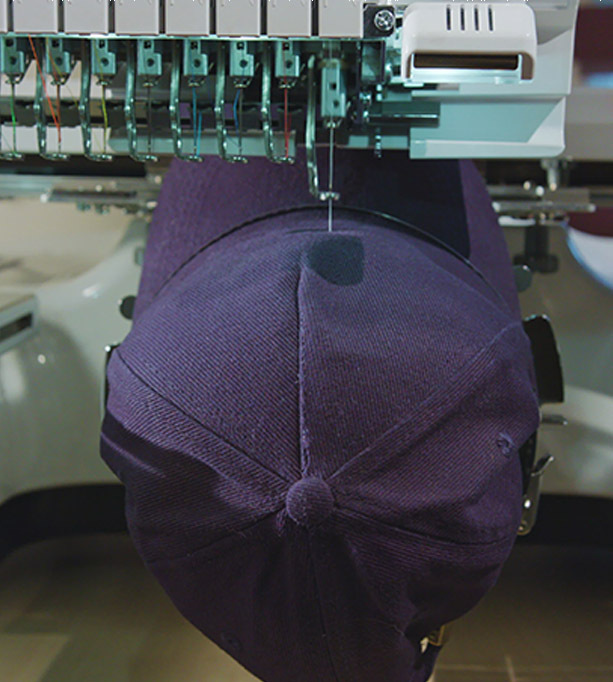 Our production team has decades of accumulated craftsmanship in the embroidery business to fulfill your needs with the professional touches that remind you of a small corner business that you’ve worked with for years and years. Yeah, we’re that type of company.